Squamous papilloma of the oral cavity is a benign lesion that is cured by simple excision. Recurrences are rare. If left untreated for prolonged periods, they do not undergo malignant transformation, continually enlarge, or spread locally. 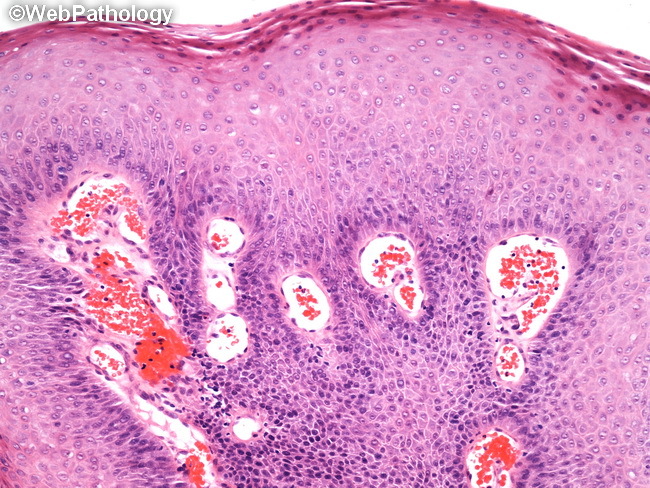 The image shows a few papillary projections lined by keratinizing stratified squamous epithelium around fibrovascular cores.